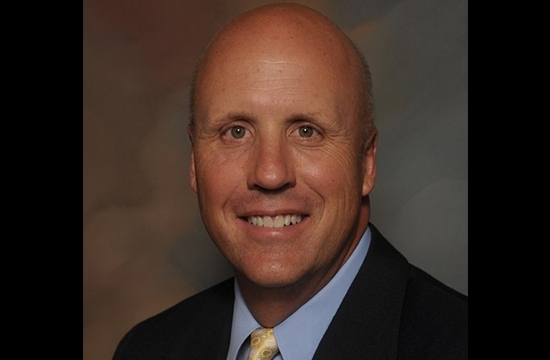 Following an extensive regionwide search for a new Vice President of Sales, Regence BlueCross BlueShield of Utah is pleased to introduce Doug Boudreaux as the plan's top Sales executive. Boudreaux comes to Regence from MountainStar Healthcare where he served as Vice President of Marketing. There, he and his team drove a 17 percent year-over-year improvement in net revenue. Prior to that, he was Regional Director of Sales and Marketing for IASIS Healthcare Corporation, with operational responsibilities spanning Utah, Nevada and Arizona. He also worked for several years for Shriners Hospitals and University of Utah Health Sciences Center. “It’s exciting to take what I’ve learned in my time on the provider side of the health care equation to the payer side, and to be able to do that with Utah’s first health insurer,” said Boudreaux. “Regence has a well-earned reputation for both solidity and innovation. I can’t wait to join the sales team that focuses daily on accelerating Regence’s efforts to build a person-focused and economically sustainable health care system for individuals and organizations of all sizes,” Boudreaux added. “Doug brings so much enthusiasm and expertise to our team. He’s a proven leader, someone who constantly looks for new and better ways of exceeding the expectations of customers, and understands what it takes to succeed in this time of change in our industry,” said Jim Swayze, market president of Regence BlueCross BlueShield of Utah. Boudreaux received his bachelor’s degree from Utah State University, and his master’s in public health and health services administration from University of Utah. He has also done his part to advance the educational interests of post-secondary business students in the valley for more than a decade and a half, serving as associate instructor and adjunct professor at University of Utah and Salt Lake Community College. His official start date with Regence will be May 21. Regence BlueCross BlueShield of Utah, based in Salt Lake City, is the state’s first health insurer and now provides more than 527,000 members with comprehensive health insurance solutions. As a nonprofit independent licensee of the Blue Cross and Blue Shield Association, Regence is part of a family of companies dedicated to transforming health care by delivering innovative products and services that change the way consumers in Utah and nationwide experience health care. For more information, please visit regence.com, facebook.com/regenceutah, or twitter.com/regenceutah.